How much are tuition and fees at PVCS? PVCS works hard to keep our tuition and fees as affordable and competitive as possible. You will find that our tuition is one of the lowest rates in the middle Tennessee area. Any family enrolling in K5-12th* that has applied to or is registered at PVCS can apply for financial aid. 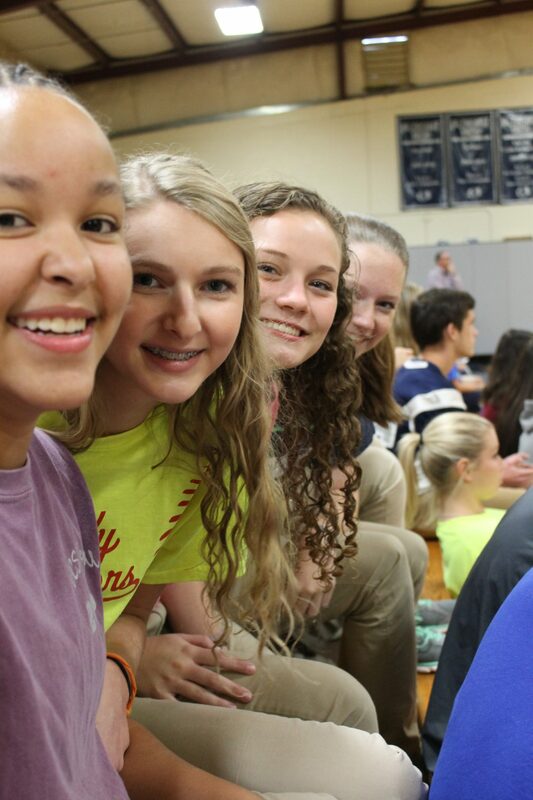 PVCS believes that Christian education should be affordable for all families. The purpose of the PVCS Financial Aid Program is to assist families who demonstrate a need for financial aid. If you as a family feel you cannot afford the tuition, then please apply. *Financial Aid is unavailable for students enrolled in preschool. Pleasant View Christian School admits students of any race, color, national and ethnic origin to all the rights, privileges, programs and activities generally accorded or made available to students at the school. It does not discriminate on the basis of race, color, national and ethnic origin in the administration of its educational policies, admission policy, financial aid policy; athletic and other school administered programs. Who processes my application for financial aid and is it kept confidential? PVCS uses the services of FACTS Grant & Aid, a third-party reviewer, to assist with the confidential financial aid data collection process. FACTS will send a recommendation to PVCS. A financial committee will review the recommendation and the situational letter. All information is kept confidential. Is financial aid based upon my family’s income alone? The FACTS Grant & Aid application considers other factors such as: charitable contributions, reasonable living expenses and the number of children to be enrolled at PVCS. PVCS also requests each family to submit a situational letter. Parents will submit a letter explaining the situation that causes them to apply for financial aid, including specific hardships and financial difficulties (for example: loss of income, loss of job, unexpected financial hardships or sudden medical expenses). The letter should also include specific strategies the family has employed to afford tuition (for example: eliminated family vacations, cut family activities, or sold assets.) This letter is a most critical piece of information in determining the financial aid award. I still do not know if I will qualify? And how much will my family receive anyhow? It is impossible to answer this question without completing the FACTS Grant & Aid application. Each family has a different set of circumstances that will enter into the final decision. We STRONGLY encourage anyone who believes that they cannot fully afford the tuition to apply. I have multiple children. What should I do? Our family is a split family; whose information is required? What does the financial aid cover? Financial aid is only available for tuition purposes. It does not cover any extra required or optional (aftercare/summer camp) fees. What is the cost for me to go through this process? You may start the admissions process for PVCS immediately online. You may start the Financial Aid process with FACTS Grant & Aid Application immediately online. though It will not be considered until you have been accepted as a PVCS student. Please send a family situational letter to Mr. Rusty Campbell, Head of School. Please put your family name and situational letter in the subject line (for example, “Nelson situational letter”). Please remember, your financial aid package cannot be processed until you have gone through the PVCS application process and until all required documents have been received by PVCS.